To the contrary. By reducing premiums, the Health Care Choices Proposal would make it possible for many who have been priced out of the individual and small group insurance markets to find affordable insurance. The Health Care Choices Proposal retains current law on coverage of pre-existing conditions, along with provisions that ban insurers from refusing coverage or charging higher premiums on the basis of an applicant’s health status. This feature, ironically, has drawn criticism by some on the right who would like to see the pre-existing condition protections removed. The Health Care Choices Proposal would require states to use a portion of their federal allotment for risk mitigation. These are mechanisms designed to subsidize care for those in poor health without placing excessive burdens on the healthy. This and related provisions would help repair much of the damage that Obamacare has inflicted on state insurance markets. That is a spot-on description of what Obamacare has done to insurance markets, something the Health Care Choices Proposal aims to reverse. Insurers have fled the market, leaving most counties with just one insurance company and most of the rest with two or three insurers. The Health Care Choices Proposal would help reverse this dynamic. Wrong again. The Health Care Choices Proposal does not repeal these regulations, which is something to which some conservative critics have objected. At least they have their facts right. Here, CAP gets it at least partially right. States would no longer have to require insurers to group everyone in the individual market into the same risk pool. The result of that, however, is not to divide the market between regulated and unregulated plans. Rather, it allows the state to employ risk mitigation programs that provide affordable coverage for the sick without gouging the healthy. In recent years, several states have obtained waivers that allow them to divert federal Obamacare payments to insurance companies into state-run risk mitigation programs. These programs typically require states to obtain a waiver from Obamacare’s single risk pool requirement. Alaska provides one example. Its program resulted in lower premiums for everyone in its individual market, whether sick or healthy. CAP has produced a table in which it estimates the amount of “surcharges” 40-year-olds would pay if they had certain medical conditions like diabetes, asthma, or cancer. 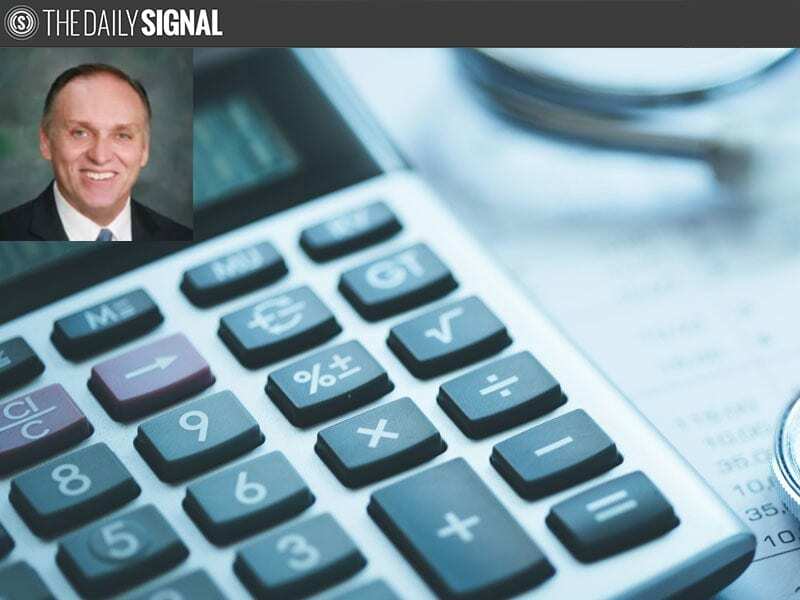 The data are fictional since the Health Care Choices Proposal does not permit medical underwriting. The report attributes this whopper to “a leaked outline that was verified by reporters.” For the record, the “leaked outline” to which the CAP study refers is not the Health Care Choices Proposal. The Health Policy Consensus Group avoided recommending funding levels or proposing allocation formulas. Instead, it focused exclusively on designing policies that would allow states to reverse Obamacare’s effects on premiums and choices. While we believe that a program of grants to states will work more efficiently than current law, a 20 percent cut in the first year, growing (according to CAP) to 31 percent in 2028, would be excessive, not to mention politically nonviable. Since CAP erroneously assumes these cuts, all of the fiscal implications that follow from this assumption are implausible and contrived. Let’s begin by understanding what CAP means by “wealthy” and “higher-income people.” Median household income for those with health savings accounts is just over $57,000, and two-thirds of account holders have incomes less than $75,000. Obamacare has harmed millions of families in those income ranges. The average family deductible for a bronze plan is more than $12,000. The out-of-pocket limit for covered, in-network spending is nearly $14,000. Yet the maximum amount a family can contribute to a health savings account is less than $7,000. Meanwhile, most Obamacare policies don’t qualify for health savings accounts because their cost-sharing is too burdensome to comply with federal tax law. Households awash in wealth from their $57,000 annual salaries deserve some relief. Health savings account expansion would provide it. 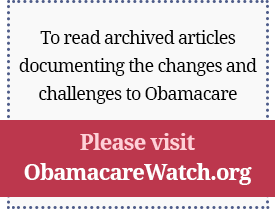 Obamacare politicized health care financing and destroyed health insurance markets in the bargain. Repairing that damage necessarily requires action by the political branches of government. The Health Care Choices Proposal would help millions who are consigned to Obamacare’s junk insurance policies. Those policies come at a high price, impose burdensome cost-sharing requirements, and only pay for care provided by doctors and hospitals in very narrow provider networks. “Essential health benefits” are covered on paper, but not in reality, as more consumers are forced to shell out thousands or tens of thousands for care from non-network providers—spending that doesn’t count against their deductibles or out-of-pocket limits. The Health Policy Consensus Group believes this is unacceptable and has made recommendations to alleviate Obamacare’s damage.